BKB Cleaning is a roof cleaning and pressure washing company serving Coconut Creek and surrounding areas. 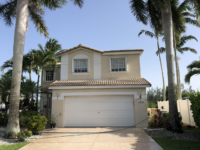 We offer amazing pressure washing services Coconut Creek for your home and business. We use professional pressure cleaners and commercial grade equipment. This will let us get the job done right the first time. Most people use us to power wash their homes, driveways, pool and patio areas, but we will also do commercial buildings, parking lots, fast food restaurants and strip malls as well. We do offer rust removal and other types of stain removal. We seal roofs and driveways too! So if you have mold and mildew on the walls of your home or black algae and moss on your roof then you need BKB Cleaning to help you. The most important thing when fighting dirt and grime is getting it done right. We even use manufacture recommended procedures on roof cleaning. Homeowners usually get a notice from their HOA or from a city code enforcement officer. These guys will threaten you to clean your home or else they will begin to penalize you. Don’t let this happen to you. 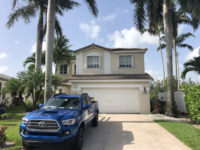 call us for the best pressure washing in Coconut creek florida. Feel safe with our employees because they have passed a background check. We are licensed and insured. Results guaranteed or your money back! If your are not happy then we will rewash it until you are. Our customers come first. Don’t Delay get started today. Hire the pro with the highest rating and best customer service. We are expanding to better serve you. This is our new location and phone number.